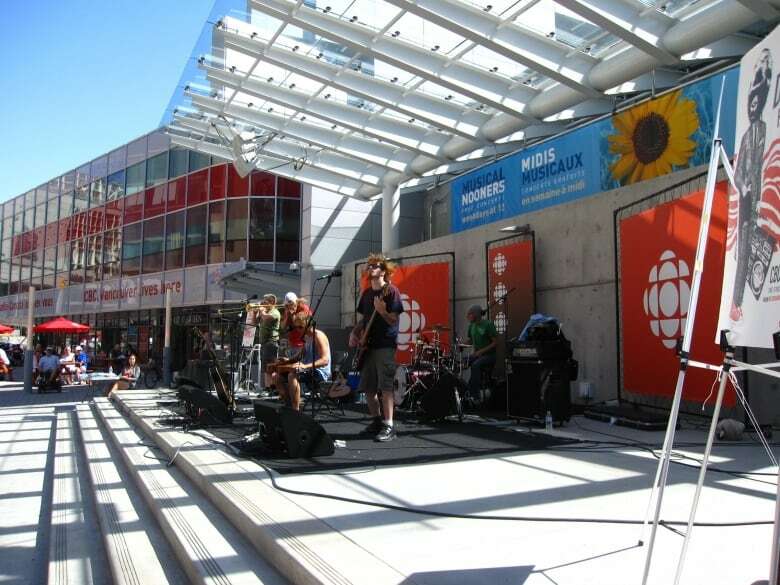 CBC Vancouver's Studio 700 and the Outdoor Stage are available to rent, free of charge, five days per month (for a maximum of 10 days in a calendar year), to Vancouver-based registered charities, societies and other non-profit organizations with a cultural or artistic mandate. 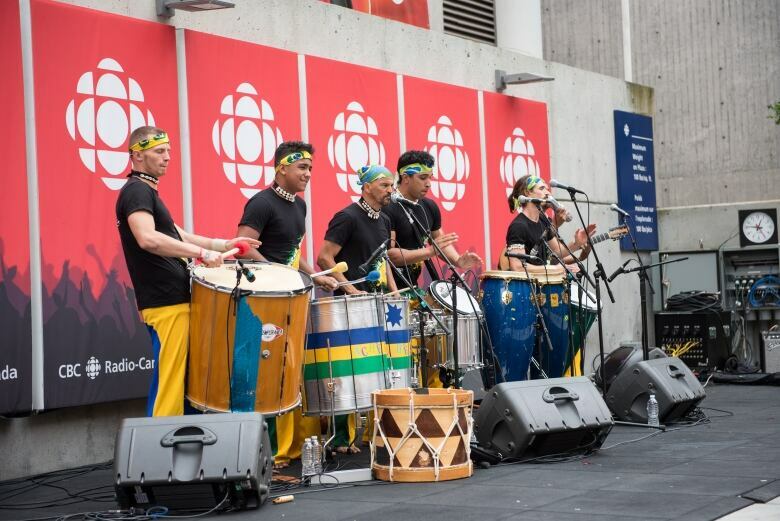 The community spaces are a joint initiative between the Canadian Broadcasting Corporation and the City of Vancouver's Cultural Services Department. If you do not qualify as a community client, or have used up your 10-day maximum, the space is available to rent. CBC reserves the right to restrict events if the type, nature or form is in direct conflict with our operations — for example, content, subject matter, noise, or public interest. 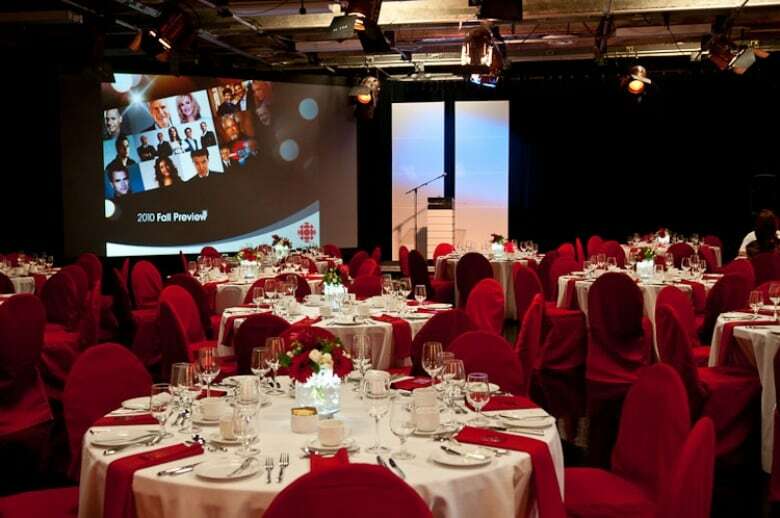 Studio 700 is located within CBC Vancouver's spectacular Atrium, and is a great location for a party, meeting, rehearsal or performance. As this is a turnkey studio, it is expected that community clients provide their own technical support. 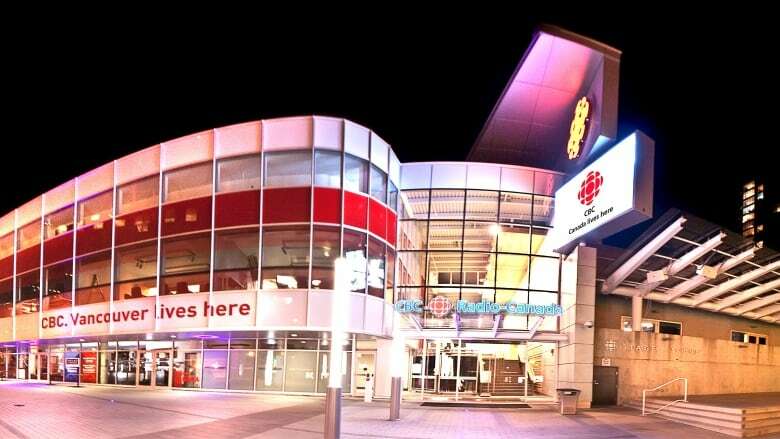 CBC will provide a free 15-minute technical handover to review the operations of the studio. 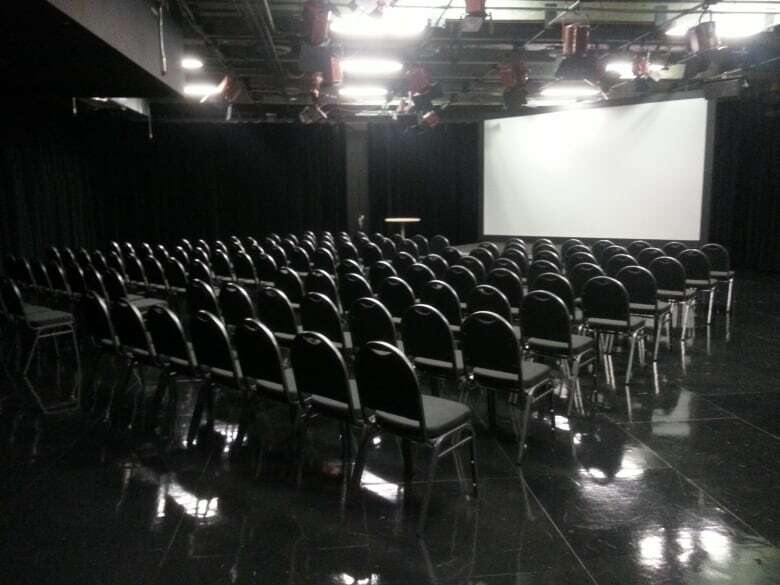 The maximum capacity for Studio 700 is 150 people (dependent on room layout). 12 feet x 16 feet stage (16 inches high) in the northwest corner of Studio 700. Basic lighting for this stage with an ETC Smartfade 2496 lighting console. Lighting grid 12 feet, 3 inches from floor. 140 folding chairs (community user responsible for setting up and striking). 10 feet x 6 feet folding tables (linens available for rent). Private single washroom, makeup room and green room with fridge (additional washrooms for an audience are located one floor down on P Floor, via Atrium elevator or stairs). Air conditioning, heat and power. Note: We do not allow integration of any outside technical or lighting gear in Studio 700. You may bring your own PA and AV systems, which must operate as a "standalone" system (without using any part of the Studio 700 PA system). The existing stage can only be moved using CBC labour at a minimum cost of $200 plus tax. A great outdoor venue for your concert or special event, this public performance platform reaches out to the city at large. 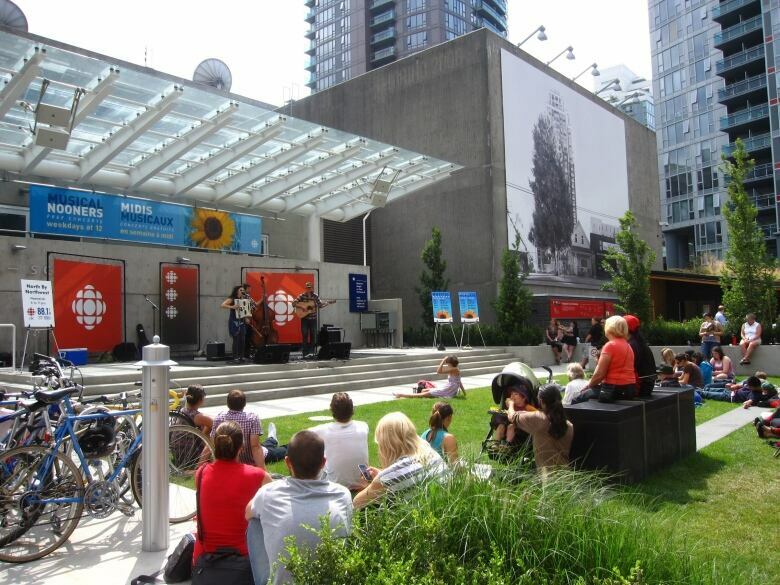 Located on Hamilton Street, the outdoor stage and plaza create an urban oasis attracting diverse audiences. To put a tentative hold on these spaces, you must submit your request in writing, using the online request form at least eight weeks prior to the intended date of event. Holds are placed on a first-come, first-served basis. Security deposit of half of the estimate, or $100 minimum (cheque or credit card accepted). A copy of your Certificate of Incorporation and your B.C. Society number or Federal Charitable number as applicable (applicants must be registered as a non-profit society in good standing with the Province of B.C. Register of Companies). Proof of $2 million liability insurance. A signed event agreement for Studio 700 and/or the Outdoor Stage. Note: If an event is cancelled, the security deposit is refundable if no costs have been incurred by CBC, e.g., cleaning, security, technical or staging labour. Security $20.50/hr plus tax, minimum four hours. 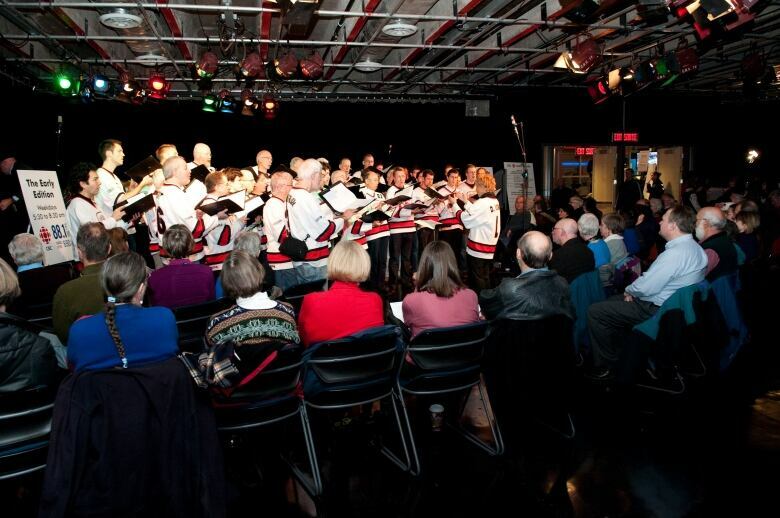 CBC labour (stagehand, technical or lighting if required): $50/hr ($75/hr after eight hours). Studio 700 and/or Outdoor Stage. Green room adjoining Studio 700 (includes fridge, running water and washroom). Principle entrance area (at 700 Hamilton St.). Related stairs/ramp adjacent to Studio 700. Accessible washrooms located on P Level. Stairs/elevator and hallway area to washrooms.